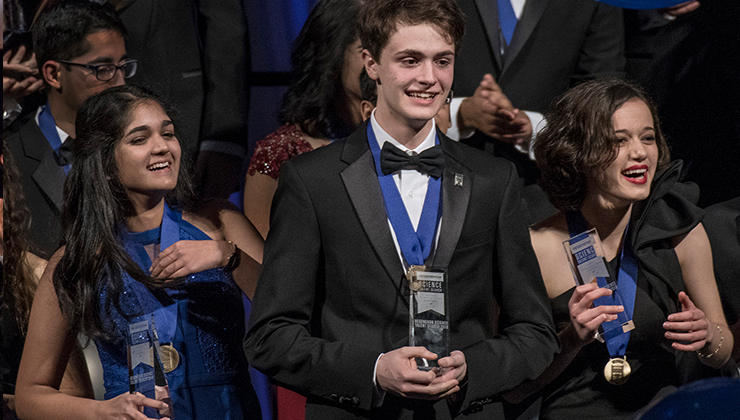 The Regeneron Science Talent Search (Regeneron STS), a program of Society for Science & the Public (Society) is the nation’s most prestigious science research competition for high school seniors. Since 1942, first in partnership with Westinghouse, then with Intel 1998-2016, and now with Regeneron, the Society has provided a national stage for the country's best and brightest young scientists to present original research to nationally recognized professional scientists. Please complete this form if you would like to be notified about Regeneron Science Talent Search program updates, including the release of the official rules, the launch of the 2020 application, and more. I certify that I am over age 13 and have parental permission to sign up through this form.